With a degree in Radio, TV and Film in hand, and her sights set on a big city like Nashville, Jessica Kohn ‘09 had plans to leave Auburn in her rearview after graduation. That was, however, until she met the love of her life, Brandon, who already had a job as a firefighter in Auburn. Nine years later, Kohn still lives in Auburn with her husband Brandon and one (almost two) daughters, working as the new Downtown Coordinator for the Auburn Downtown Merchants Association (DMA). When Kohn graduated in 2009, the economy was down and jobs were hard to find. At the time, there were a lot of college graduates that weren’t able to find employment, much less in their degree field. To make sure she didn’t end up like others, Kohn worked all through college to prepare for life after graduation. 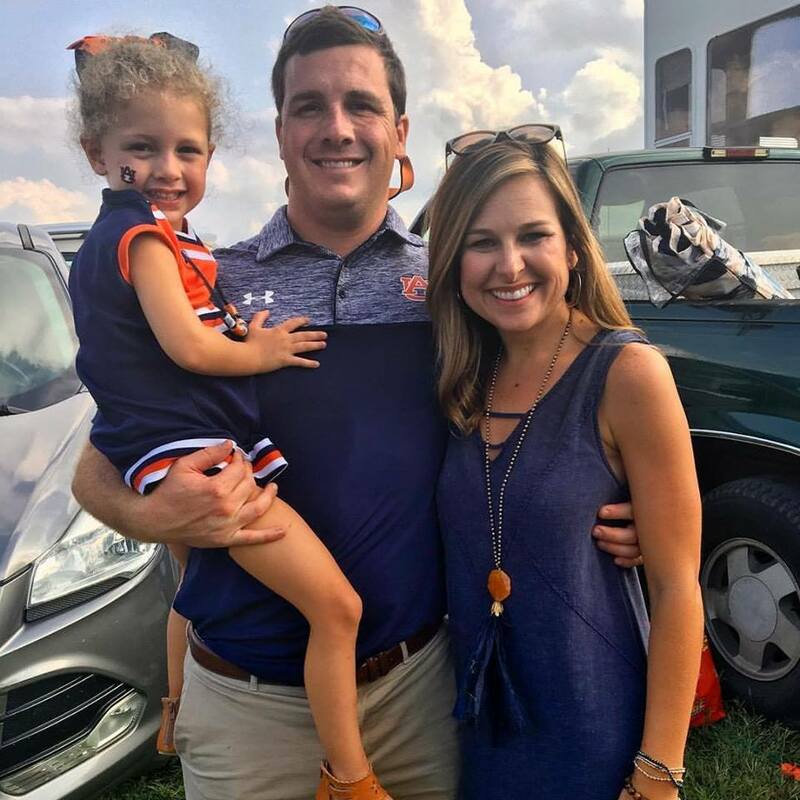 After completing an internship with Auburn Athletics, she worked as a marketing manager for off-campus student housing. “I found that I really enjoyed working with college students and their parents, so I worked in student housing for seven years until I took the position I have now,” Kohn says. When the position for Downtown Coordinator became available in the early months of 2017, it was the first time Downtown Auburn had ever offered something like it. Typically, the tasks Kohn does now on a daily basis were given to other board members of the DMA, causing extra stress. She found out about the opening through the Auburn Chamber of Commerce and began the brand-new job in April of 2017. The position has Kohn spending her days downtown interacting with store owners and merchants, bringing her closer to the town she’s held close to her heart since she was a child. As the Downtown Coordinator, she helps plan and promote events that take place in downtown, manages the website and social media content and serves as a liaison between the DMA and the city, the university and other outside entities. 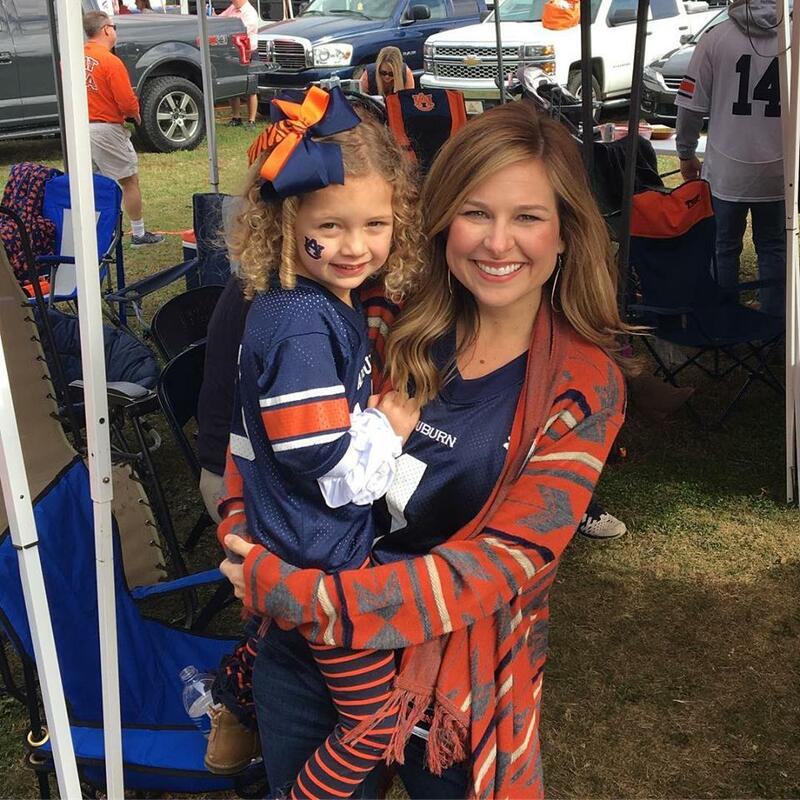 While the job has many different components that some might find overwhelming, she says her time at Auburn instilled confidence in her that she could excel in any role. “I was never the all-A student in high school, or the one who excelled in a sport. School never came easy to me. Auburn allowed me to see that I was capable of so much more than I thought. The DMA has almost 70 active members — an all-time high. Kohn has high hopes for the future, which mainly includes building on what already exists. With even more events and opportunities to promote the DMA in the works, she is only just getting started.